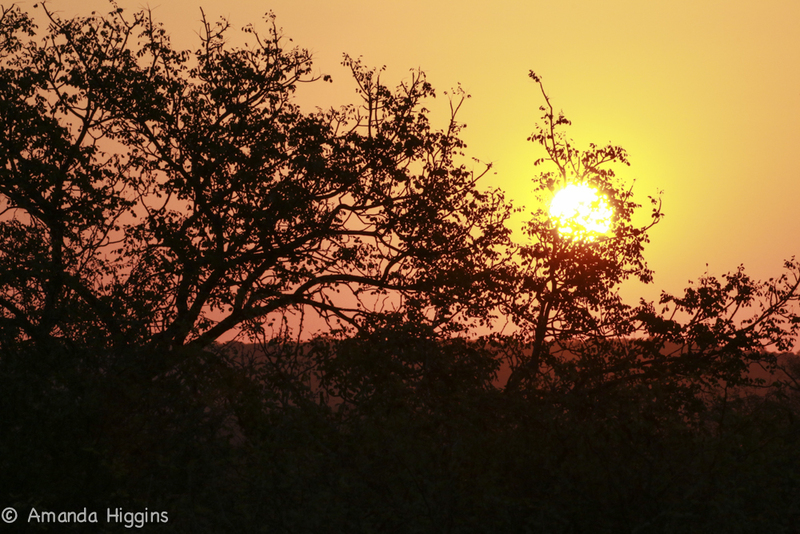 My recent trip to the Sausage Tree Safari Camp in the Balule Reserve has left me with a craving for more bush and wide open spaces. I was recently invited to help them in their kitchen. We spent the most wonderful week developing new recipes and improving their food standard in order for the kitchen to work more efficiently and deliver an even more exceptional service to their guests. I worked with the kitchen team and we spent many happy hours looking at their approach to cooking and updating their methods. What an amazing bunch of guys! 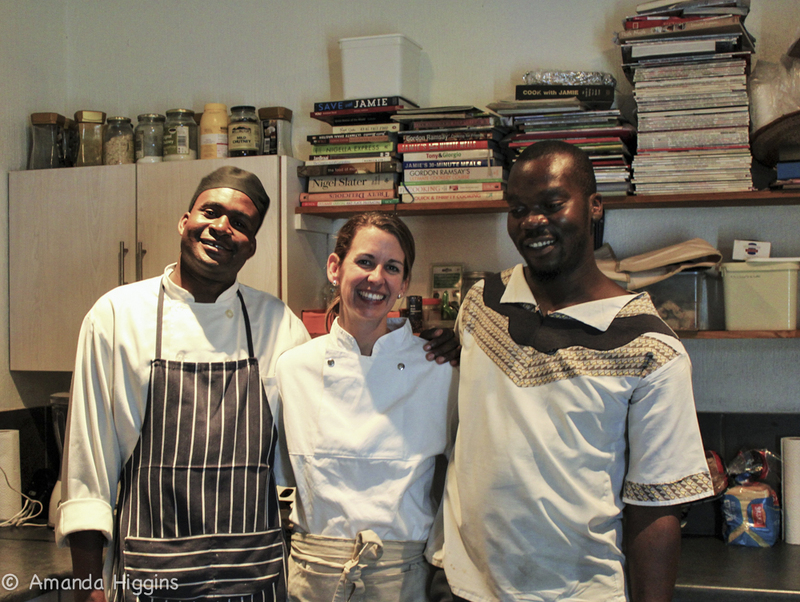 Chef Orlando, originally from Mozambique, and Pitzo from South Africa, made me feel so welcome. I so enjoyed working with them. The general consensus from the guests at Sauasage Tree is one of feeling as if they are at home – and the team really do make you feel welcome. 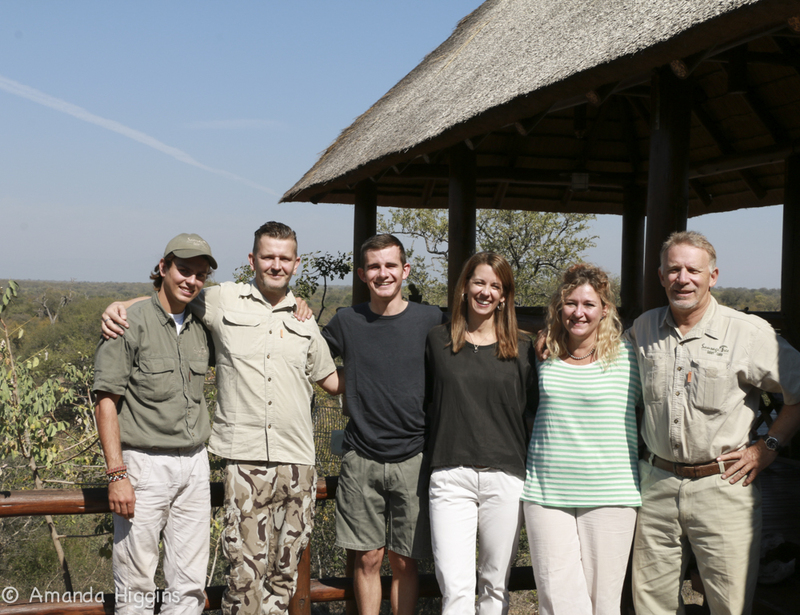 It is an owner run camp with Sonja and James (right) doing an amazing job. Jason (second left) manager, never seems to sit still, making sure everyone has exactly what they need. Frankie (far left) and Liam (middle) see to all your games viewing needs and adventures. They are a wealth of useful information and do their very best to get you the best sightings of the Big 5, while not forgetting the Little 5. Sausage Tree is a little oasis in the middle of the reserve. 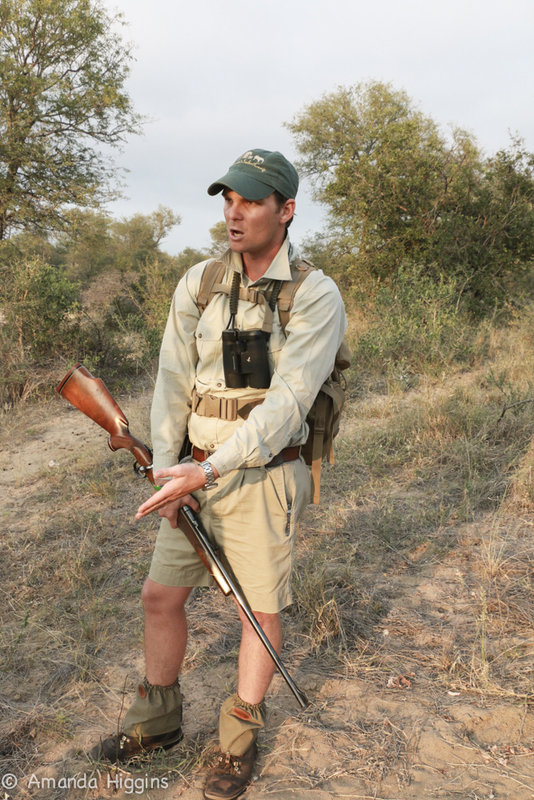 I was lucky enough to be invited to join a group of game trackers on a training hike through the bush one morning. What a treat! Brett Horley, a very experienced tracker led the group. 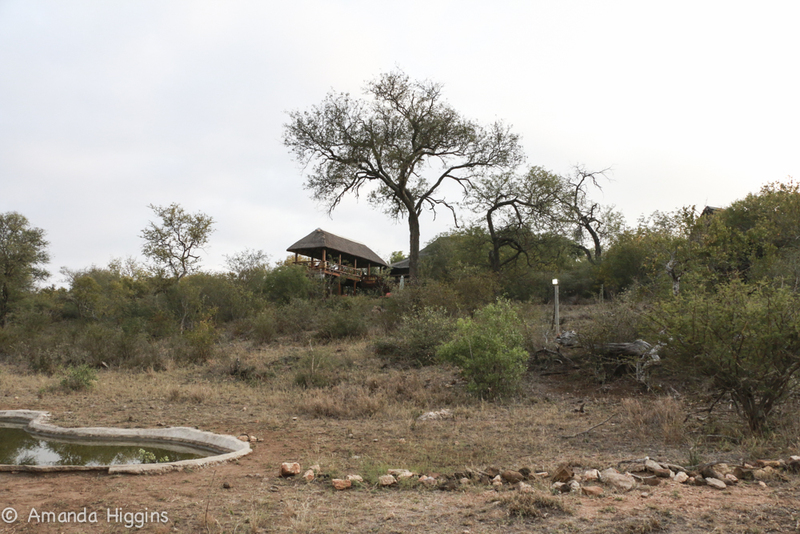 I was able to get this picture of the lodge from the bush behind the water hole. Luckily, we did not meet any dangerous game, though they were ever present, evident by their tracks in the mud and sand – lion, leopard as well as the elephants and rhino. An amazing few hours spent wandering around the wilderness. 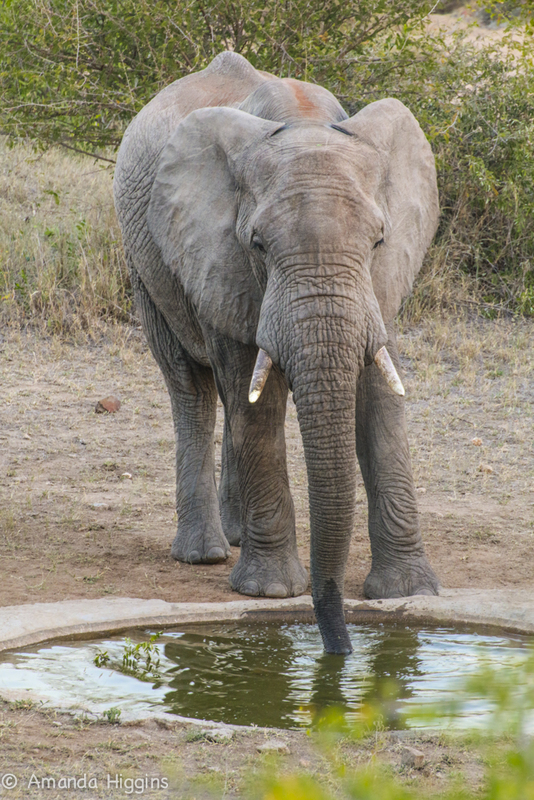 This beautiful elephant came ambling past the lodge water hole one evening and gave me an hour of relaxation watching him, before the crazy evening rush in the kitchen before dinner. What a different world life is in the bush! 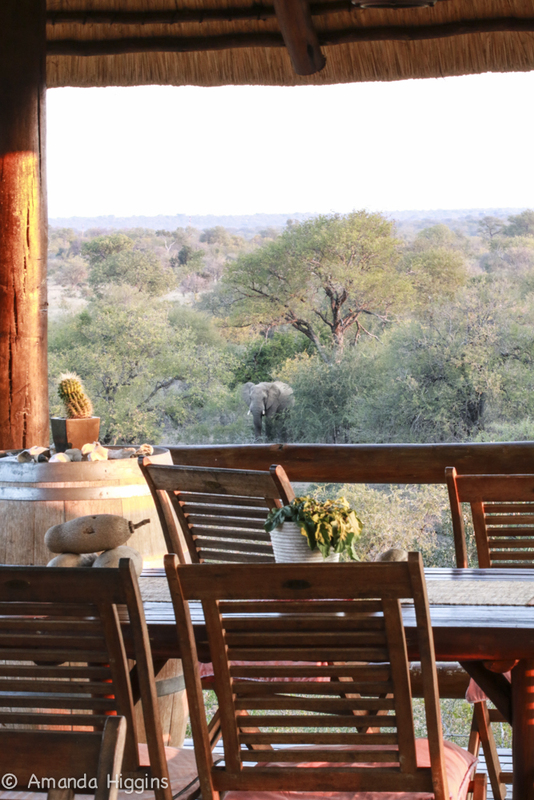 My favourite perch when taking a break from the kitchen in the evenings – watching the elephants and taking in the odd sunset! Not a bad place to be cooking up a storm! While everybody was busy enjoying themselves; eating, sleeping and watching the animals, two busy people kept everything neat and tidy. Sebastian and Linky always had a smile on their faces and a happy tune on their lips. Sebastian worked tirelessly in the kitchen with me, washing up the the piles of pots and dishes we managed to produce while testing and trying out new dishes. I spent the week working closely with the kitchen team watching how they work, their kitchen organization and planning. We worked out what was missing from the kitchen and what equipment they needed to achieve more efficiency. Menu planning, cost cutting, and the efficient use of waste were high on the agenda. A very busy time! How wonderful it was to spend hours in the little kitchen and to occasionally look up and have a beautiful view of the bush from the window. I was told they have had a python go slithering past, as well as a rhino and her baby. All in a days work at the camp! We spent every evening laughing and learning! Delicious traditional “braai” in the boma around a toasty fire under the stars, with the roar of the lions in the distance. It is easy to forget the outside world exists! These are very popular evenings for the guests, who come from far and wide to experience the peace and beauty of the African bush. 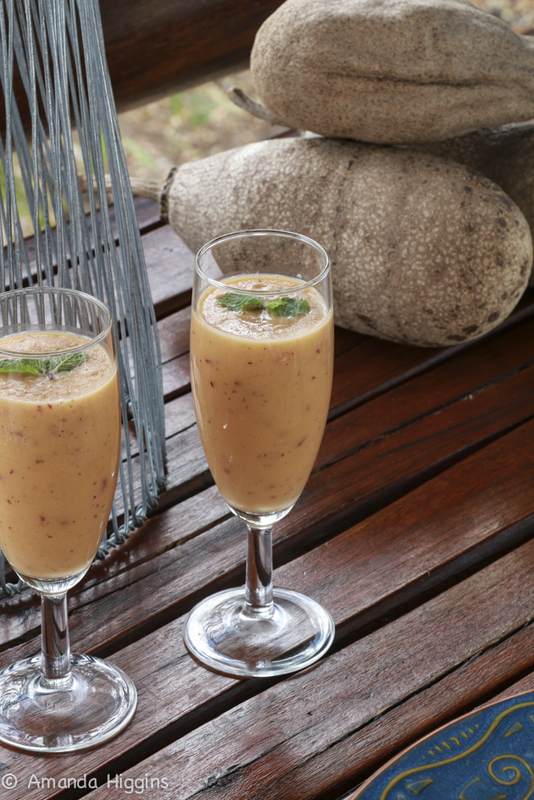 Breakfast smoothies to welcome you back from the early morning game drive, before you tuck into a hearty breakfast on the camp deck. 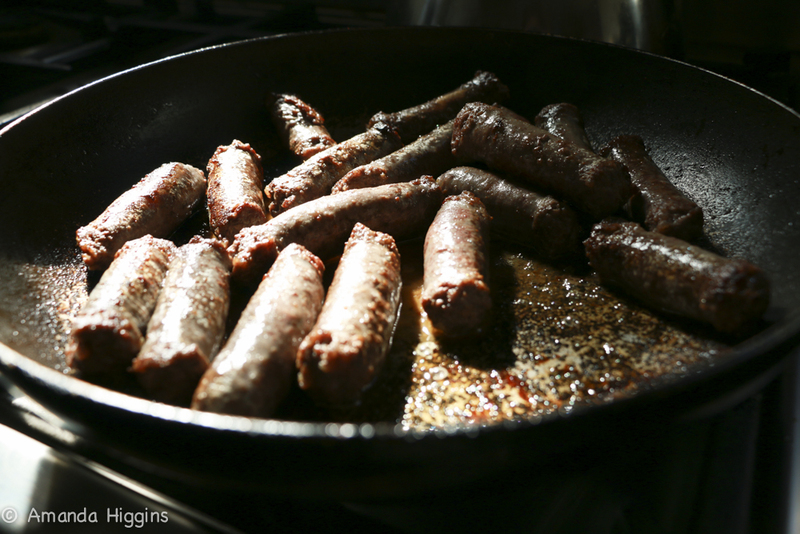 A pan filled with delicious venison sausages for breakfast! After a morning siesta, a light lunch was served. 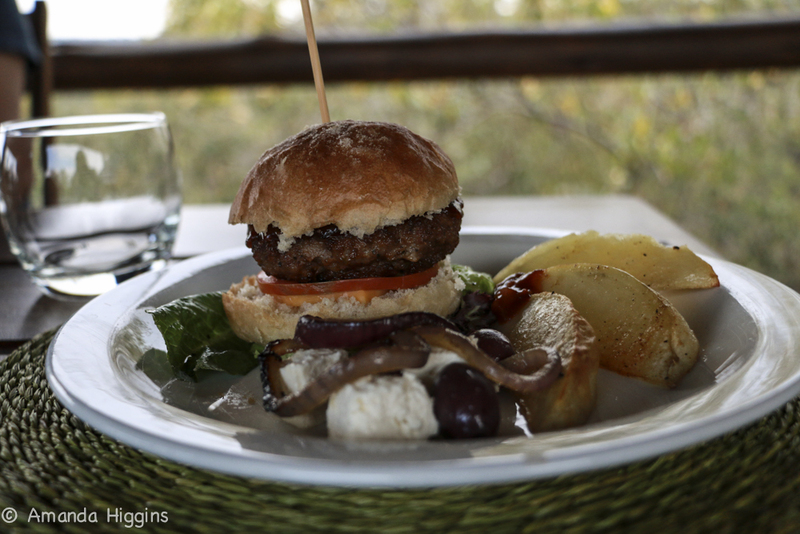 A homemade venison hamburger on a homebaked bun served with a caramelised onion, olive and fetta salad and potato wedges. 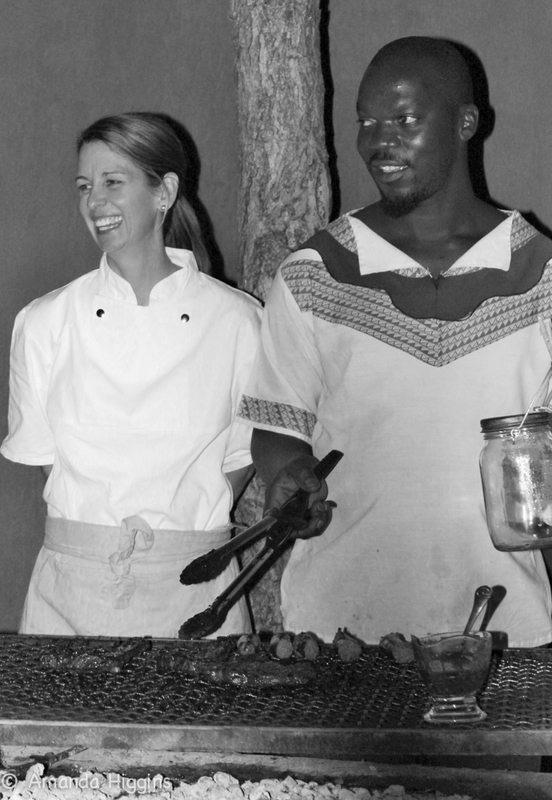 The food at Sausage Tree was simple and fresh using the most available ingredients from the town of Hoedspruit. 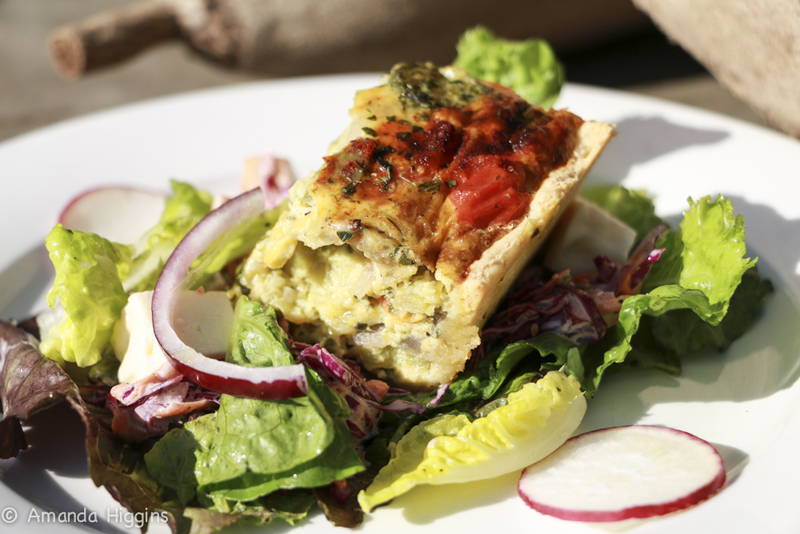 A vegetarian flan with a lovely light pastry served on bed of leafy greens. South Africa has regular power failures so cooking for many guests can sometimes be a tricky affair. 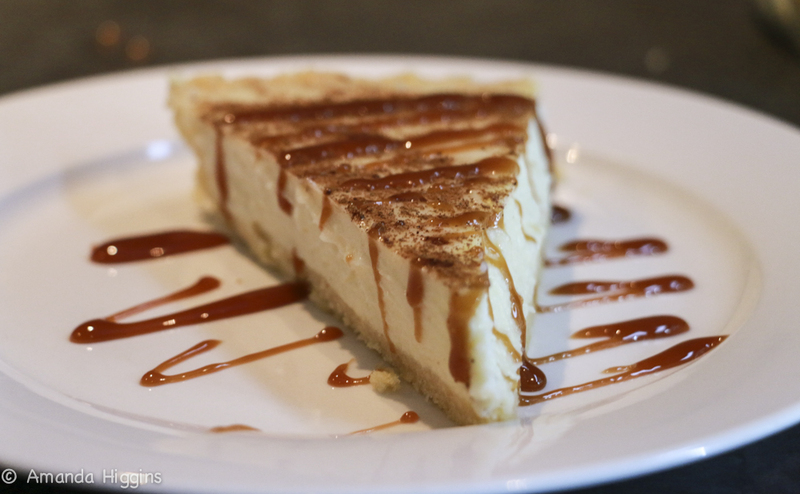 Traditional “Milk Tart” served with a drizzle of salted caramel had the guests begging for more! 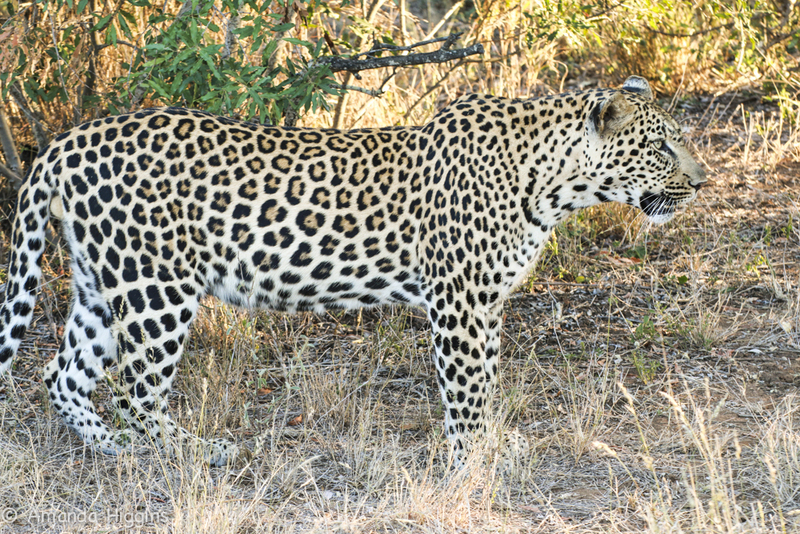 On an evening game drive I had an amazing sighting of a young male leopard. He had the most beautiful coat and when he looked at you his eyes bore straight into the soul! 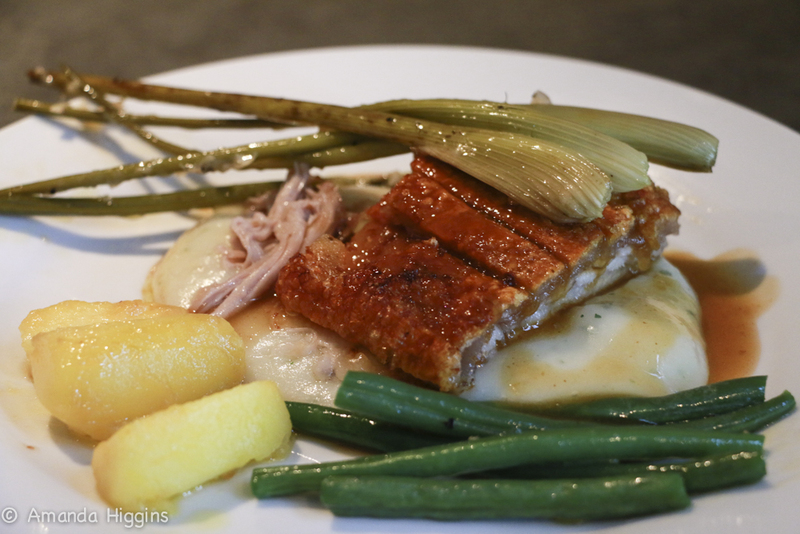 One of the many plated evening meals we served in the week: slow cooked pork belly with crispy crackling served with a potato puree, roasted parmesan fennel, caramelised apple, green beans and an apple cider jus! On a cold evening after an exciting game drive catching up with leopard and lion, this dinner ticked all the boxes. 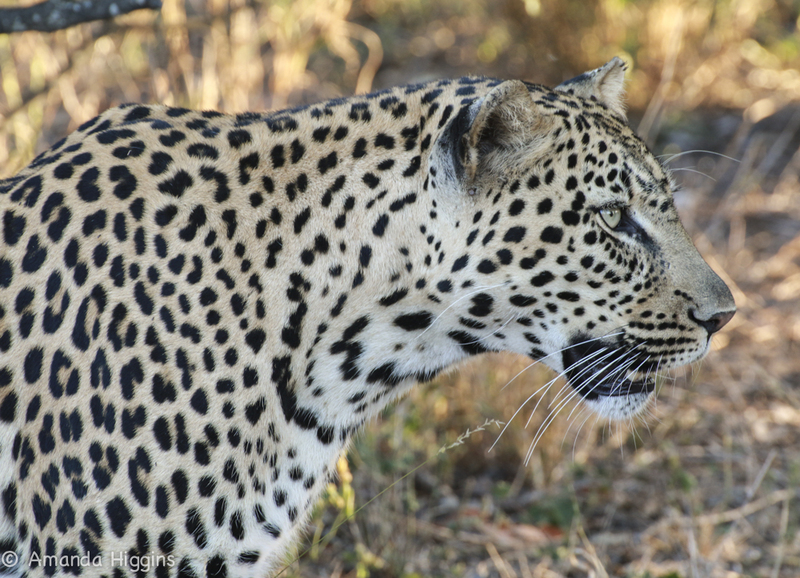 This male leopard had the longest and most beautiful whiskers! The absence of many hyena in this part of the Kruger has meant an increasing number of lion and leopard, wonderful for all the tourists to the area. The leopard are so relaxed they seldom take their prey into the trees for safe keeping, they simply bury it and eat it over a few days! 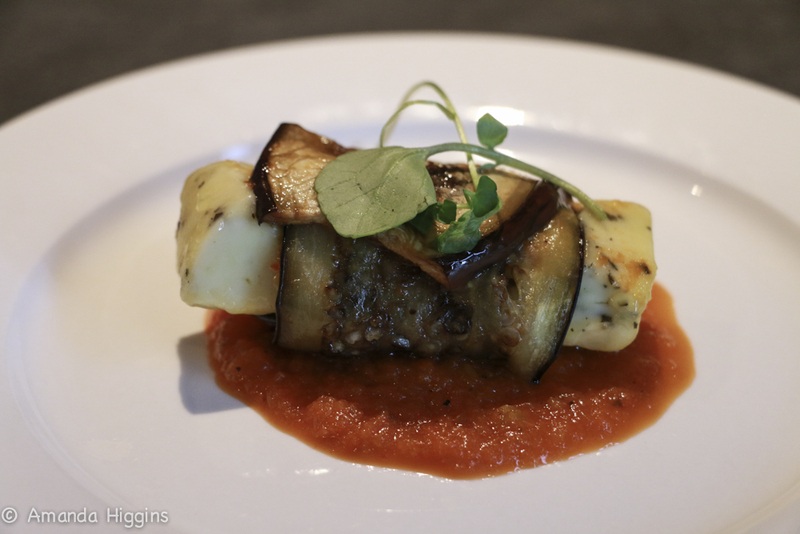 One of the delicious evening starters served by the kitchen: pan fried haloumi wrapped in lightly grilled aubergine served with a spicy tomato sauce. I was enchanted by this colony of Dwarf Mongeese. Their little eyes and incredibly long sharp claws defy their angelic appearance. In the evening light I could have watched them for hours. Dessert, one evening, surprised and delighted guests. 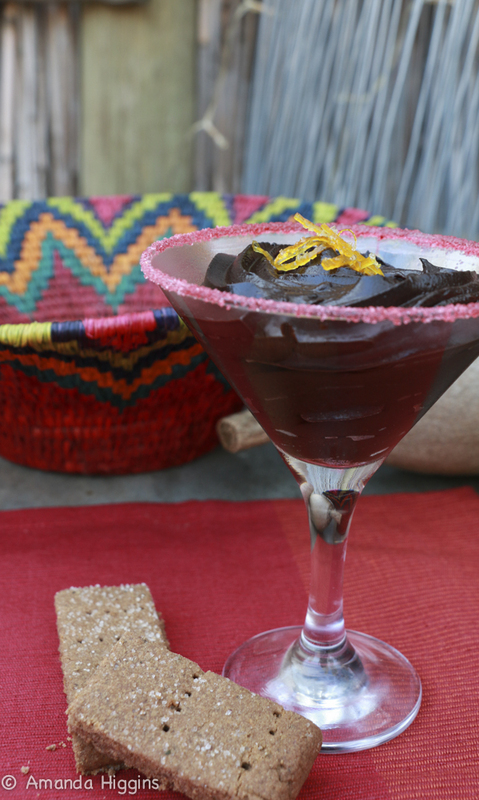 We made a orange chocolate mousse with a secret ingredient – avocado pear! Perfect for vegans. We served this with a chocolate shortbread and candied orange peel. A delicious rich chocolate delight which is healthy! 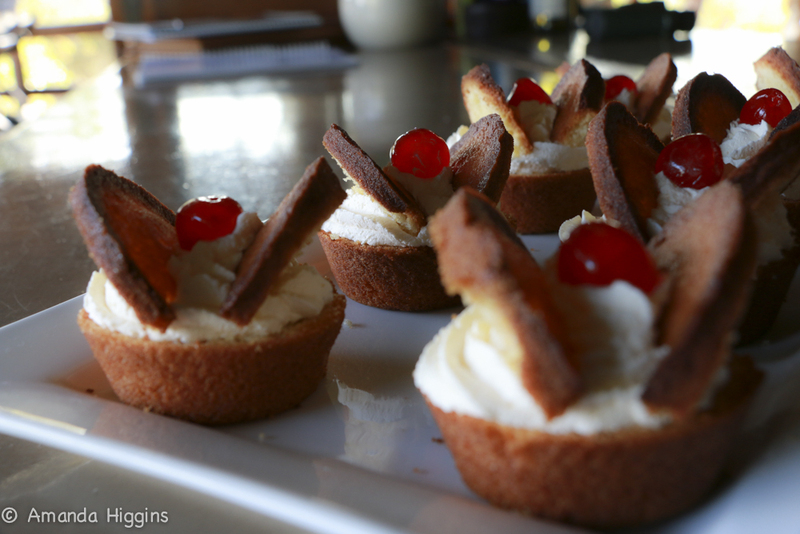 Everyday, before the evening game drive, guests could come up to the deck and have a cup of tea or coffee and gobble up one of Chef Pitzo’s creations! Thank you Sausage Tree Camp – Sonja, James, Jason, Orlando, Sebastian, Pitzo, Liam, Linki and Frankie for allowing me to boss you all around and invade your little piece of paradise! 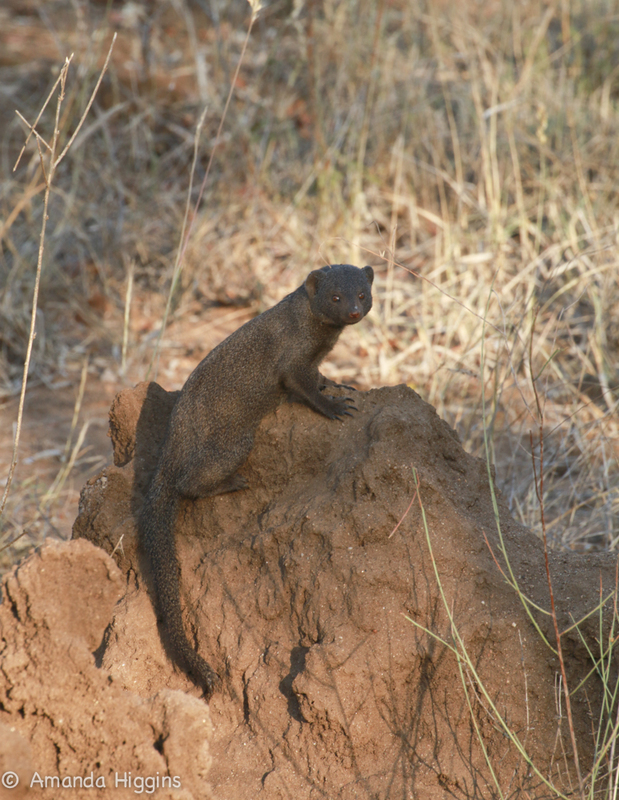 We took over Sausage Tree Safari Camp on 1st March 2012 . 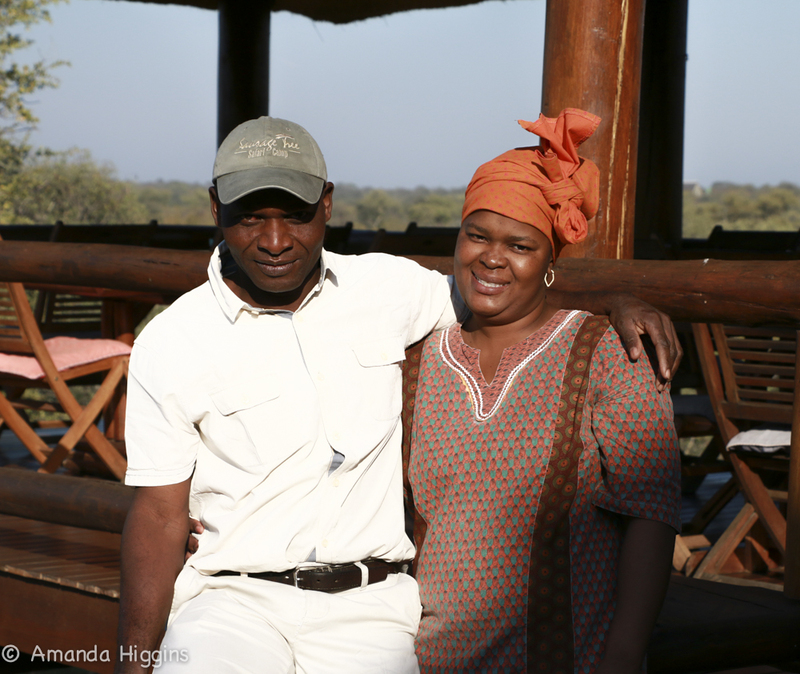 The occupancy was very low to begin with and Sonja, one of the four owners, was in charge of the cooking assisted by Pitso, who as the former camp maintenance man had requested a transfer into the kitchen. This worked fine for the first two months but then became a struggle as we started to become a lot busier. Fortunately, out of the blue, we were phoned by Orlando, a trained cook who wanted to join our team. We enjoyed success in terms of occupation levels and reviews but we were well aware of our shortcomings in the kitchen as well. 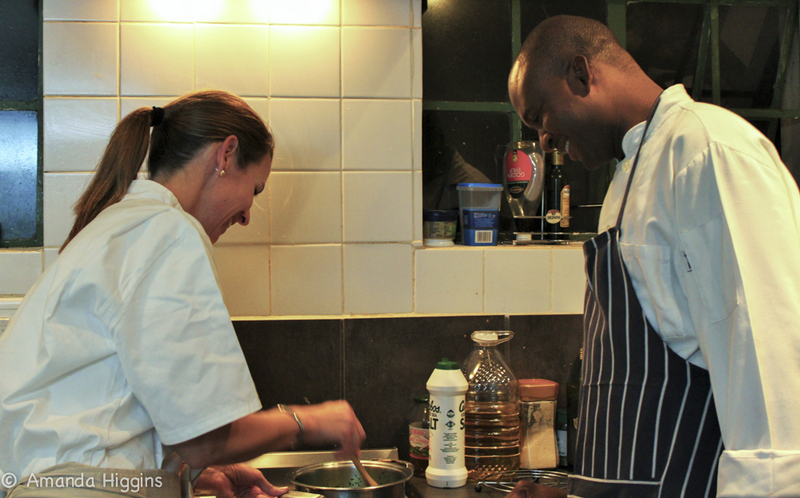 Orlando is a very competent and experienced cook, given his sixteen years of employment at his former lodge. However it would be fair to say the culinary standard he had been used to there was more about quantity than quality, and he was still somewhat set in his ways. We also were wasting too much food due to ad hoc menus and inadequate planning. 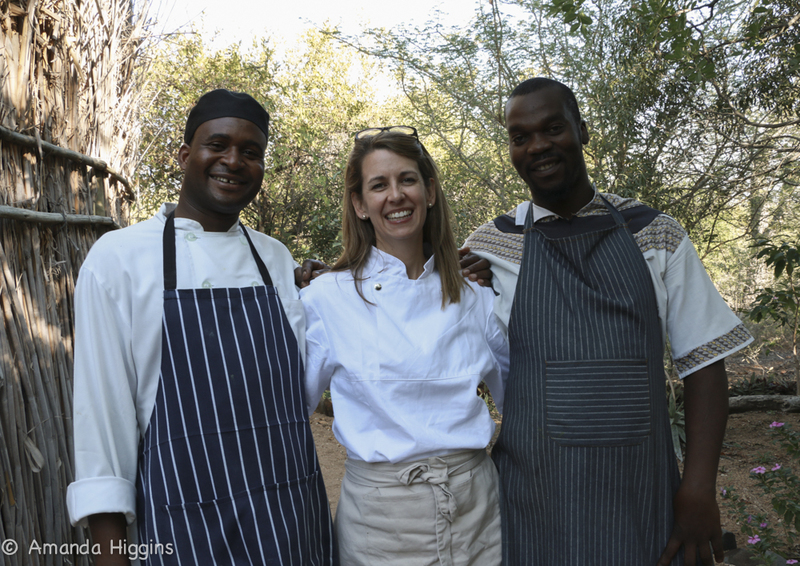 Sonja, Orlando and Pitso were completely passionate about the kitchen but lacking in professional experience to get us to the next level in terms of quality, planning and economics . Fortunately for us in January we were hosts to Amanda Higgins and her family for part of their summer break. It soon became clear to Sonja that Amanda’s skills and experience were exactly the catalyst we needed so arrangements were made for her to return for seven days in March for a complete training programme. This week went extremely well for all kinds of reasons. 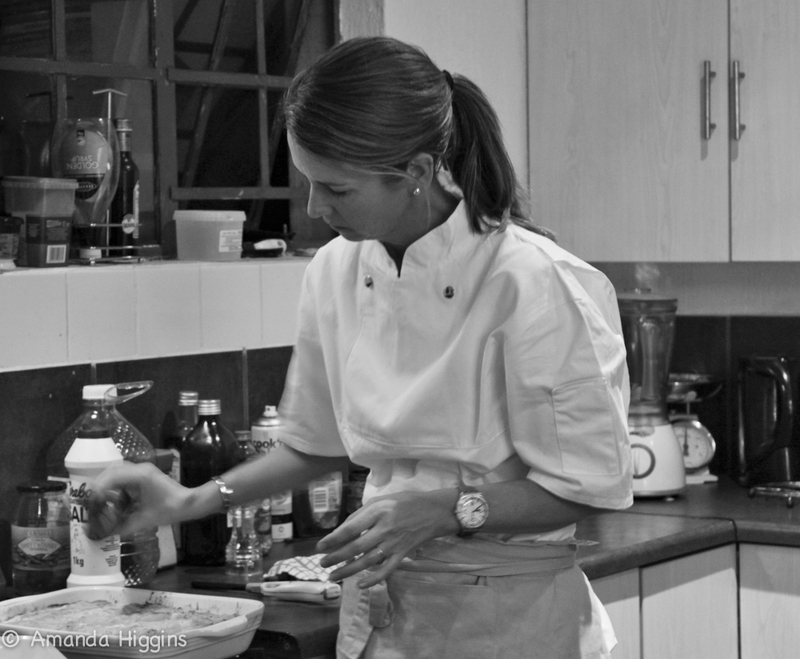 Not only is Amanda a hugely talented and experienced chef but she is also completely down to earth and her calm and patient perseverance got everyone on side and enthusiastic from the start. She is a wonderful teacher and gets the best out of her pupils at all levels. The result for us is clear . We now have two seven day winter and two seven day summer menus of a much higher quality than our previous menus consistently cooked to a much higher standard and with far better presentation. Ingredient costs have significantly fallen and we have far less wastage. Amanda is a stickler for high levels of kitchen cleanliness and as a result our staff are far more self motivated in this area than before, which makes life a lot easier for management. Finally we were persuaded to invest in some new additional equipment which in hindsight we should have done long ago and which will be paid for very quickly given the costs benefits we are now enjoying. We so loved having Amanda as part of our team at Sausage Tree and strongly recommend any lodge to make use of her exceptional skills and ideas whilst also enjoying her fabulous nature, incredible personality and great sense of humour.